It’s quite likely, especially if you look at the results of a recent IAB study that uncovered some interesting contours about the size and demographics of people who watch ad-supported video streamed through over the top (ASV OTT*). Chief among the findings were that this audience is young (average 18 – 34), affluent ($75k+ household income), and apparently receptive to ASV OTT (45 percent say they regularly watch ad-supported content). Pretty impressive, right? This seems like it could be a goldmine for many B2C marketers, hitting a rare trifecta of interest, attention, and means. Surprisingly, not all ASV OTT platforms are up to speed on their own assets. For example, last summer, Amazon advertisers expressed dissatisfaction with the tech firm’s video ad offerings. Amazon offers video ads on various digital properties, including IMDB.com (the internet’s largest movie and TV show database), Twitch, Amazon Prime Live Sports, and even on Amazon.com. However, there appear to be two things holding Amazon (and interested advertisers) back from really scaling its $2.2 billion size. First, Amazon’s self-serve platform doesn’t enable media placements across its entire inventory stock. From a buyer’s perspective, this might not be that big of a deal, but it does also mean that prospective advertisers aren’t able to take advantage of all that Amazon has to offer. Second, and more importantly and germane to ASV OTT, the firm has yet to fully open up video advertising to its full Amazon Prime Video streaming services. According to the above linked article, Amazon is only offering selective brands the opportunity to use this platform, and the first ads don’t appear to be rolling out until early 2019. Granted, that’s right around the corner, but one would think that Amazon, so famous for optimizing revenues, would be moving a lot faster in this realm. Perhaps the reason they’re not is because Amazon Prime Video is really just a bolt-on service aimed at keeping Prime subscribers. While the firm boasts more than 100 million Prime subscribers worldwide, it’s very tight-lipped about how many of them use the Prime Video streaming service. And if they were going to offer ads as part of that service, they’d likely need to disclose more details about viewers than they’re willing to. In the meantime, we’re sure plenty of other ad-supported OTT services are willing to swoop in and take up some of that advertising market share. If you want to learn more about advertising opportunities on OTT services, we’re here to help. Contact us to explore all that this emerging medium has to offer. 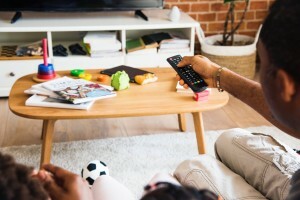 *For those unfamiliar with these services, examples of ad-supported on-demand streaming content delivery include Hulu, YouTube, Roku Channel, Crackle, and other similar services. ← What’s Measurement without Data Integrity?